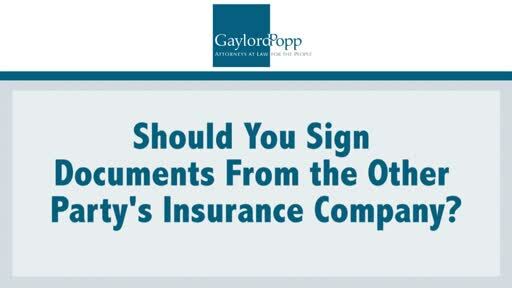 What Do You Do with the Documents the Insurance Company Sent You? You’ve been involved in a car accident. You’ve been contacted by the other party’s insurance company. They sent you a release. And in that release they asked you to sign off and accept a certain sum of money to forever release and disclaim any further claims against that other party for whatever personal injuries or economic losses they’ve caused you as a result of that particular accident. Should you sign that document?